Experience: As Lead Programmer on this project, Toasted utilized most of my skills and knowledge at the time and required me to learn additional advanced coding techniques quickly. In addition, I was in charge of level design for the vertical slice. This game was a massive logistical failure. We tried to do too much at once despite most of us not having the skills to make it happen. But this ended up being a good thing in the end. Success is built on constant failure, and failure is the best ways to learn something. This failure also prompted us to make a new game that was simpler and easier to make and more enjoyable to play. This new game went on to be one of the most successful games I’ve worked on so far. Much of my progress has evolved from overcoming challenges and experiencing outright failures, and I wouldn’t change a thing. 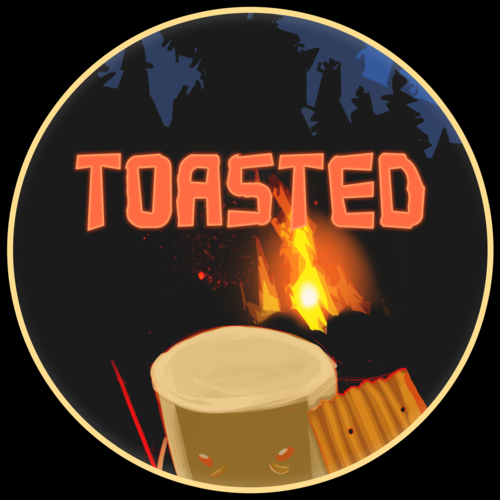 Gameplay: Toasted is a character-action, wave basses, survival horror game with minor platforming. Players navigate a 3D space using a 3D character controller. Waves of marshmallow enemies come towards the player and attack them. The player then fends off the attacks with matches and tooth picks. That was the core gameplay loop we were trying to go for. But there were many other secondary mechanics in the game such as fire, armor, and platforming. Title Screen of the game, this will be consistent throughout the project. A crude attempt at a weapon combat system. Changed from 3D Movement to 2D movement by walking towards the edge. Fire was used as a mechanic to create diversity in combat. Players could use the fire to light enemies on fire and slowly drain their health. The players could only withstand fire if they were armored. These armor pieces would take up to 3 hits of damage from enemies. If the players has no armor on and were holding the fire or on fire in general, their max health will decrease.